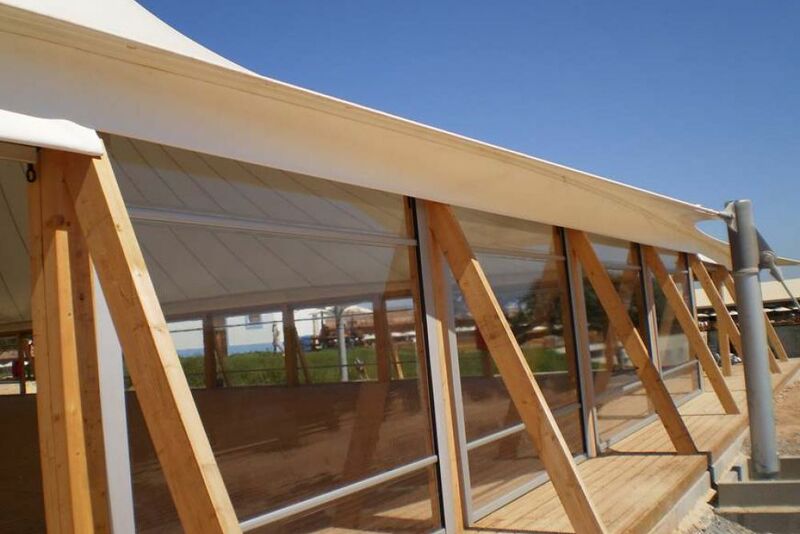 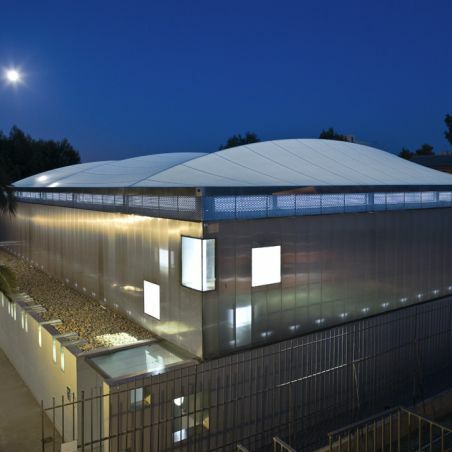 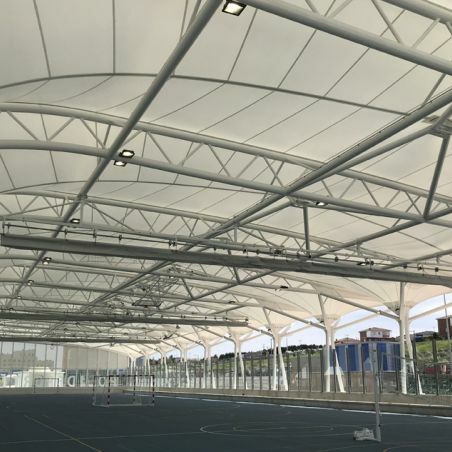 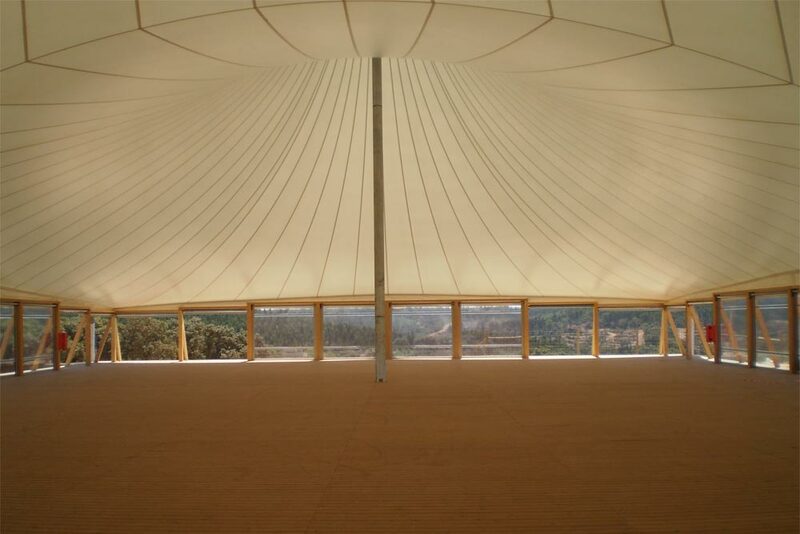 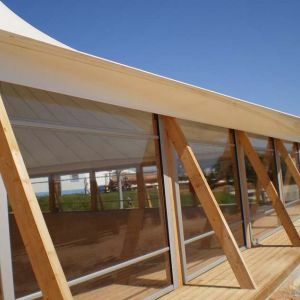 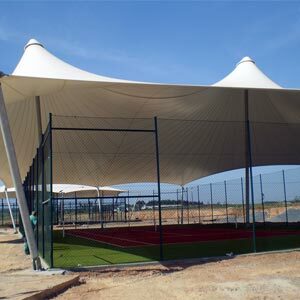 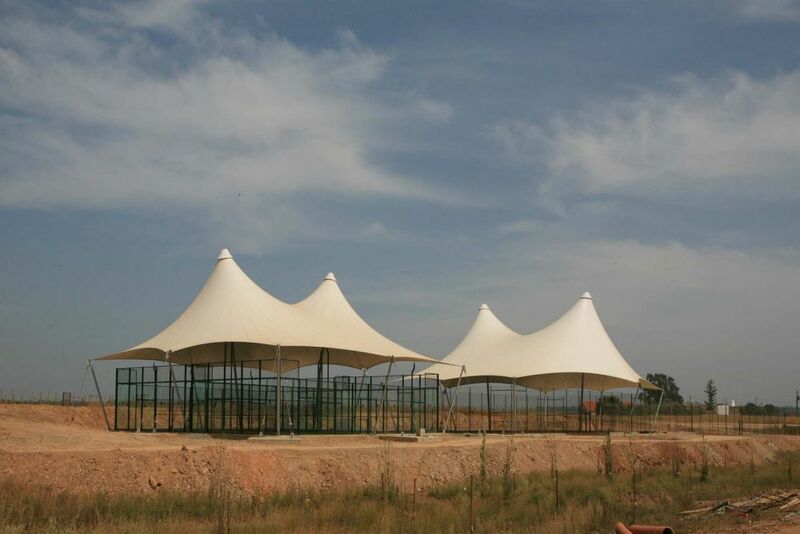 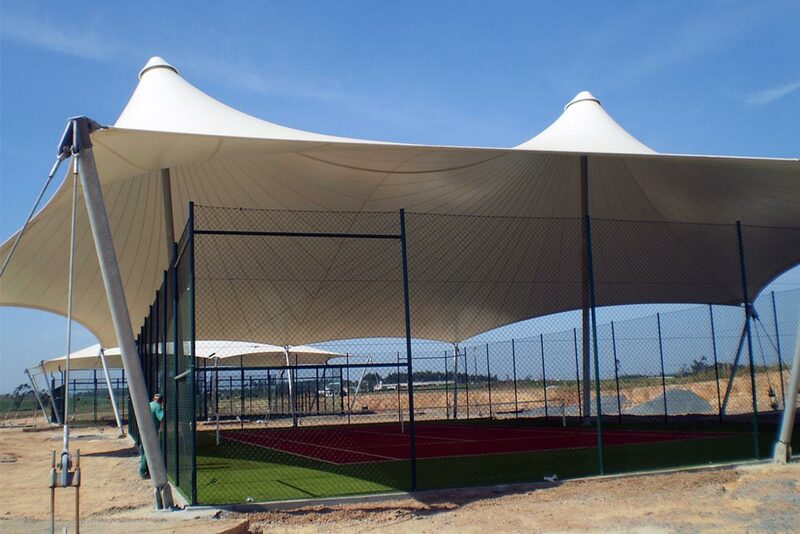 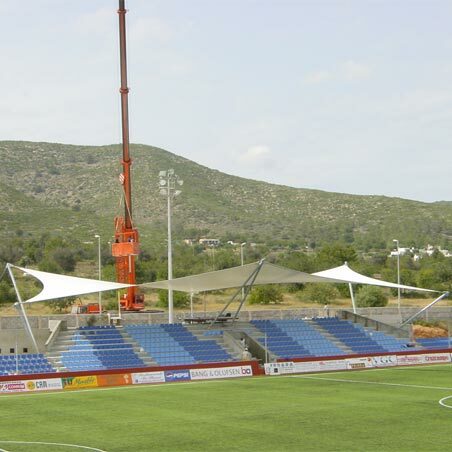 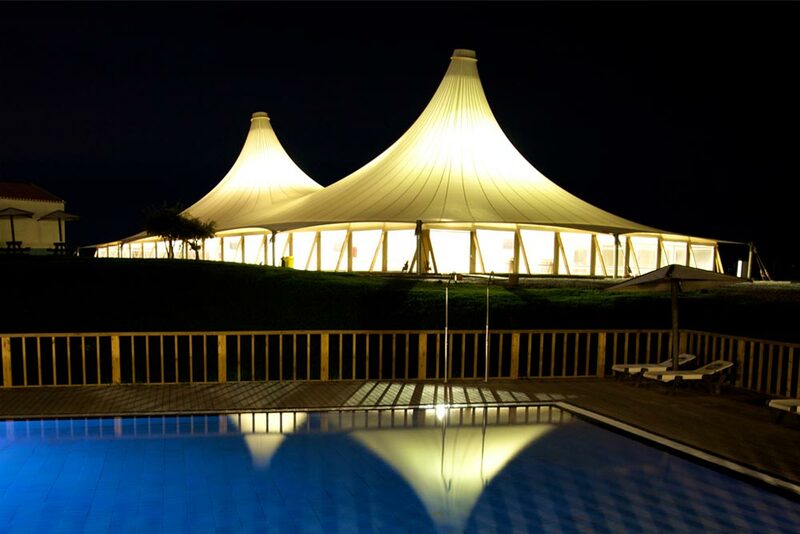 The placement of the tensile structures creates three unique spaces for sports practice and a multipurpose area at the Zmar Eco Camping Resort & Spa. 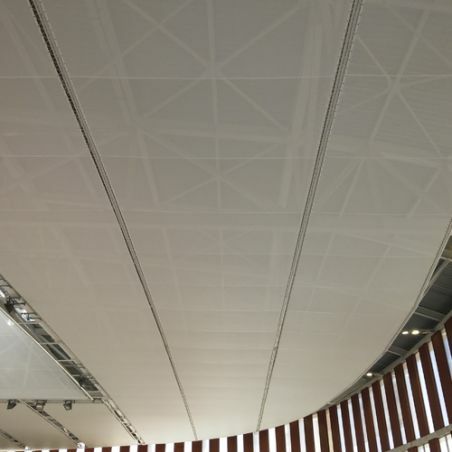 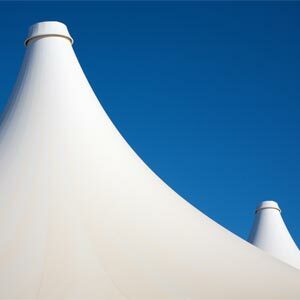 From a tensile membranes covering, tailored in one single piece and symmetrical with respect to the long axis, its double conoid geometry occupies a rectangular area. 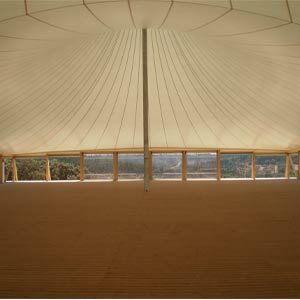 Inside are tall pillars, while on the perimeter there are cable-stayed pillars. 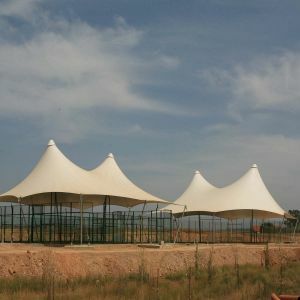 One design for three tensile structures, but each with a different functionality. 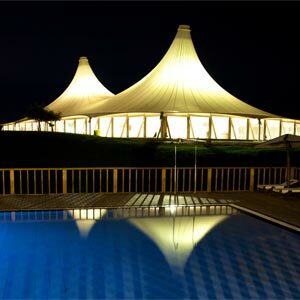 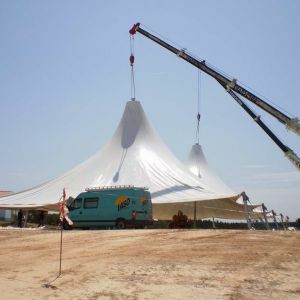 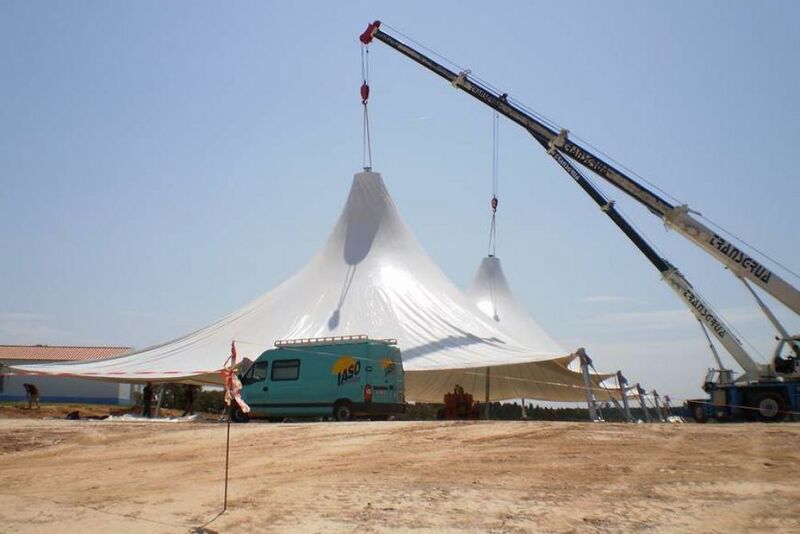 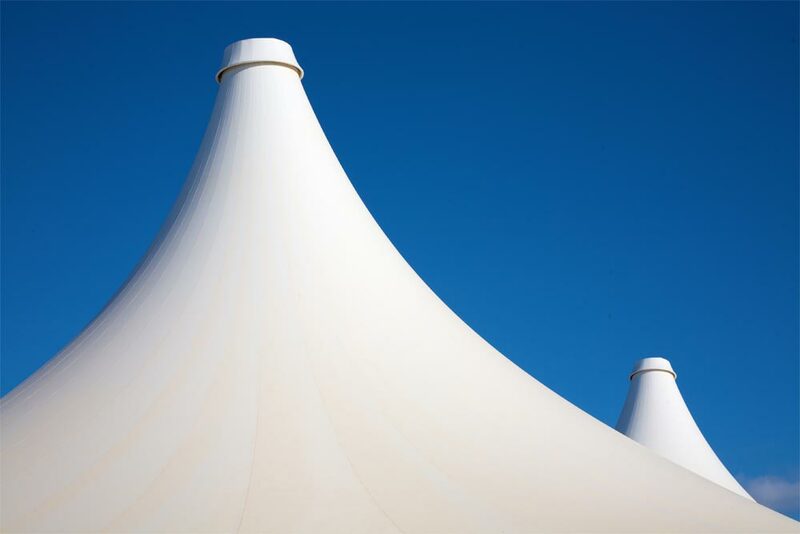 The three tensile membranes, integrated with the resort design, give more protection and versatility to the new camping spaces.